So if you are thinking about becoming an UnFranchise Owner with Market America | SHOP.COM, you are probably researching about "reviews" and "facts" about the company. Well are those claims true? 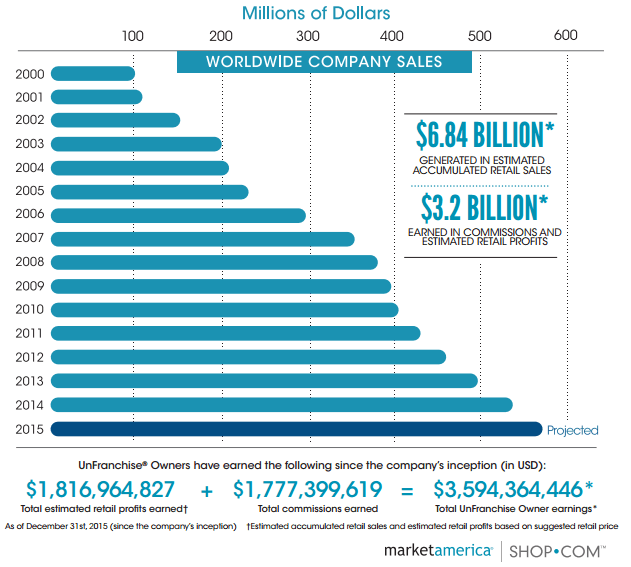 Is Market America a pyramid scheme? Does it worth your time building the business as an UnFranchise Owner? 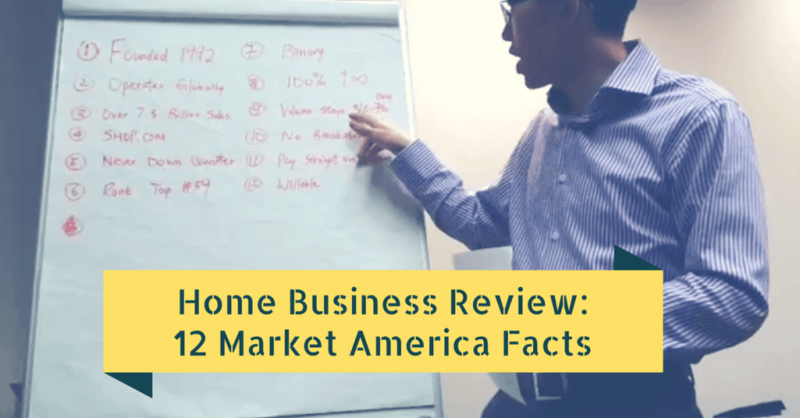 In this episode of home business review, I will be revealing the 12 facts of Market America to help you make an educated decision whether you should become a Market America distributor or what they call "UnFranchise Owner". When evaluating a company, there are usually 4 things you want to look at. How well are they doing financially? Is the compensation plan lucrative? Can average people do it? As you go through this review, don't take my opinion, ask yourself these 4 questions to do your own due diligence. ​It's a product brokerage and Internet marketing company that specializes in One-to-One Marketing. JR Ridinger is the current CEO and his wife Loren Ridinger​ is Vice President of the company. UnFranchise Owners have earned over $3.8 billion in commissions and retail profits, meaning commission payout is over 60%. ​Below infographics was created in 2014, ranking at that time was #57. It's climbed to #59 in 2016. When it comes to e-commerce, social media presence is crucial. Notice that Market America is ranked #46 on Social Media Top 500. According to Direct Sales Association, average distributors in Direct Sales and Network Marketing can handle 2.6 organization. A binary compensation plan is designed based on what the average individual can do. As the team expands through the binary structure, volume generated from everyone in your team will come to you 100%. This makes residual income a reality, because you can get paid from volume generated by EVERY distributor who will be joining your team in the future. No brainer for this one, volume doesn't flush away at the end of the month or two months. You keep volume generated by you or your team for at least 365 days...1 year! In Market America, your team can never break away. This gives you incentive to train up leaders and build in-depth. ​If you are looking for a pyramid scheme that pays on recruits and not product sales, this company is not for you. Market America pays distributors from sales not only for exclusive products, but also 50 million affiliate products. This breeds the concept of "Shopping Annuity" where you can turn most of your customers and your own spending into earnings. Your business income can be willed for multiple generations. 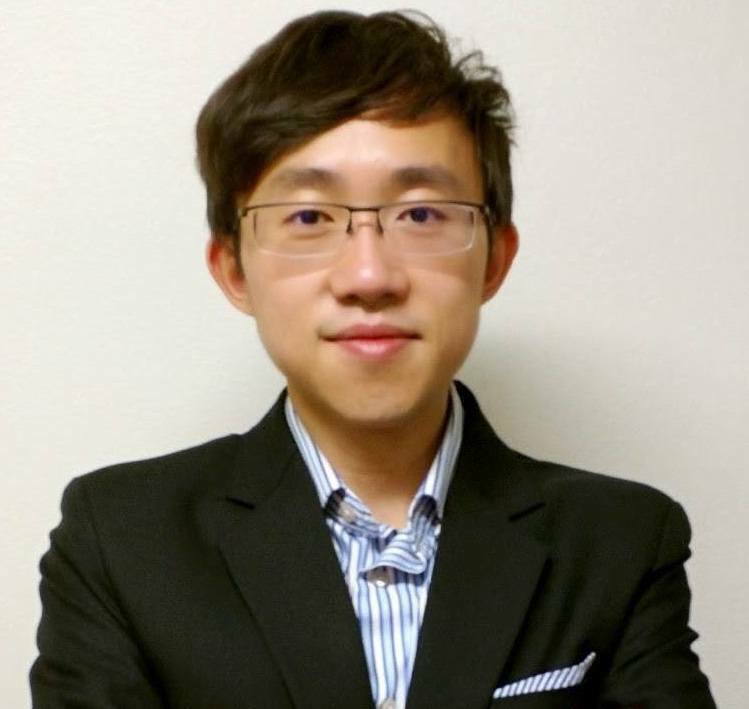 Descendants of early UnFranchise Owners were seen in company's event taking over the income. You can build globally and volume will be treated the same. However, that doesn't guarantee success for you and your family. You will still need to present your products or opportunity to a large number of prospects consistently to build a solid customer base and a strong team. The products will not "sell itself" and your team will not grow automatically by just recruiting "2 people". You will need a way or a system to consistently bring your potential customers and partners after you run out of the first 60-100 warm market you are going to talk to. In fact I only had a list of 50 at the beginning and I ran out of people to talk to real quick. Fortunately I came across my mentor Ferny who taught me how to setup a system on the Interne﻿﻿t﻿﻿ to generate 3﻿0-5﻿﻿0 l﻿eads per d﻿﻿ay. Success is all about preparation, and you gotta learn the skill sets needed to grow a business that will pay you a significant residual income. ​If you want to learn the online business strategies I use to generate 30-50 red hot prospects per day on a consistent basis, click here and I'll gladly send you my free online recruiting bootcamp. PS. If you got questions about Market America and whether you should join or not, click here ﻿to chat with me and I will be more than happy to point you at the right direction.